A beautiful visitors chair that is sure to compliment any office. 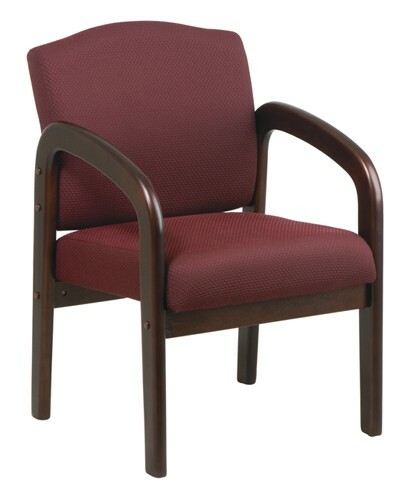 This guest chair features a thickly padded seat and back with built in lumbar support, your choice of 2 new "Crave" colors, and a mahogany finish wood base and arms. Each fabric is stain guarded with Blockaid.